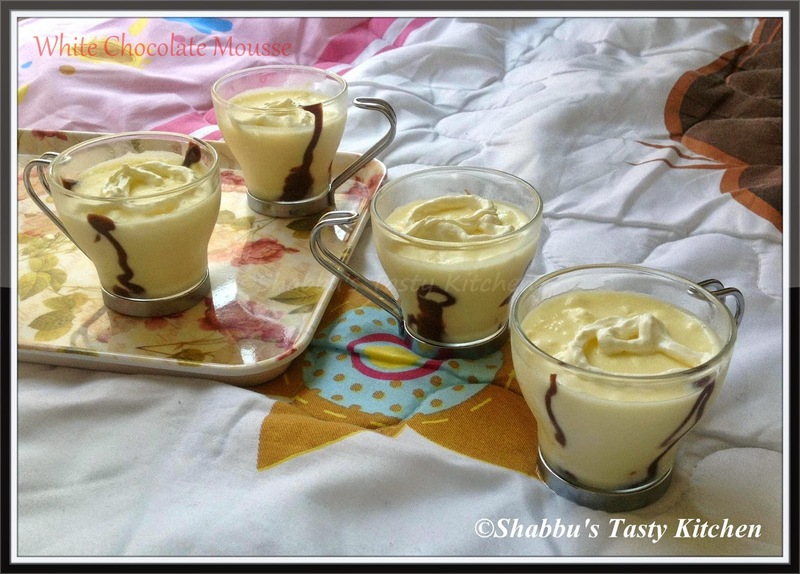 In a microwave safe bowl, mix together white chocolate and milk and heat it in the microwave for about 2 minutes. Remove it from oven and mix well until the chocolate melts completely. Stir in the sugar and vanilla essence and mix well. Keep it aside. Add the melted white chocolate slowly to this cream and gently mix till combined.